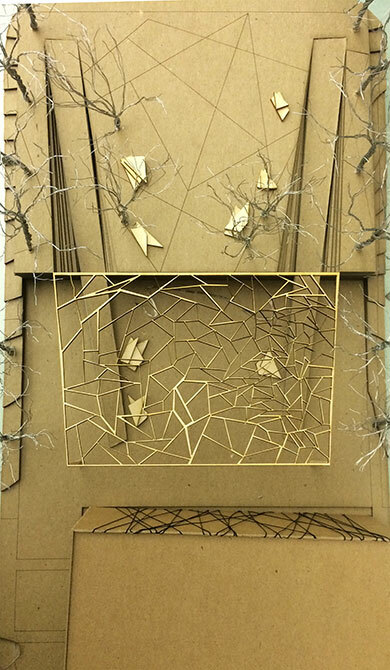 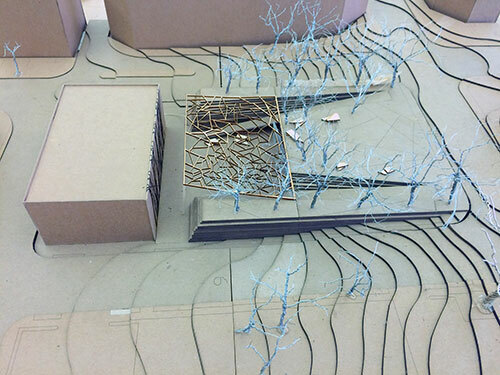 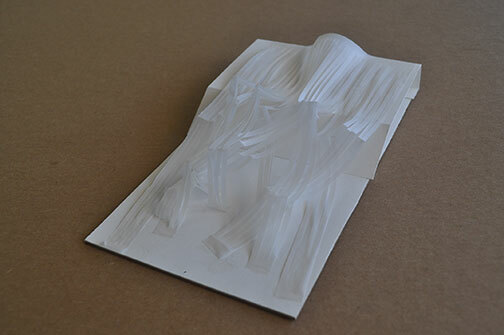 Site Systems is the second design studio for first-year Master of Landscape Architecture students. 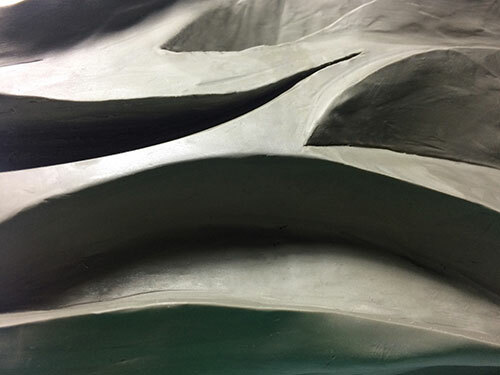 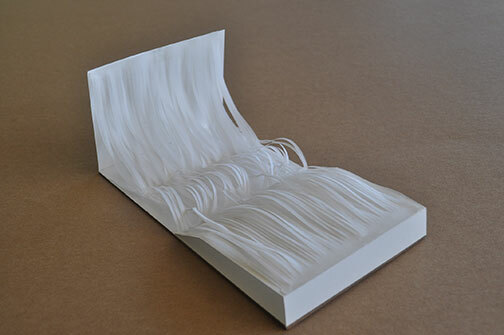 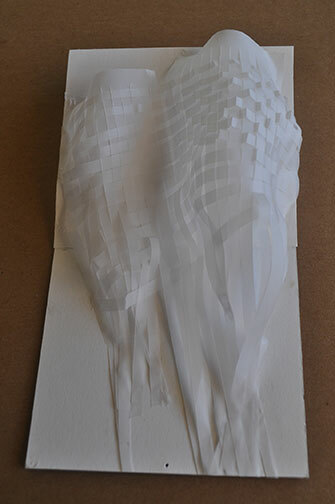 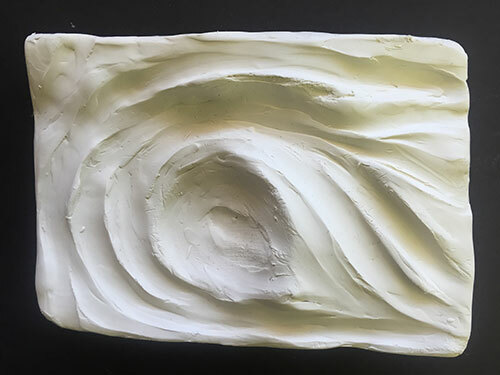 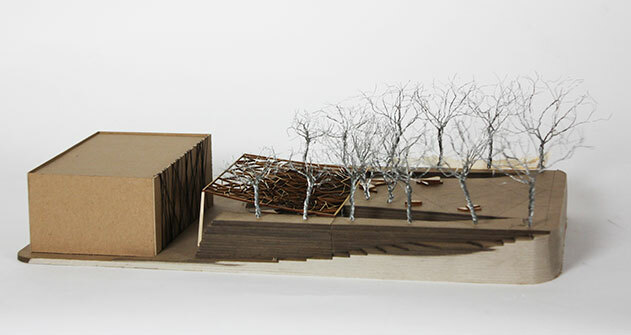 The studio curriculum is comprised of two different projects, which are pursued in tandem with examinations of various theories and methods of landscape representation. 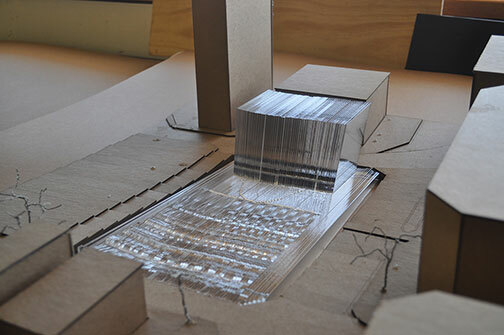 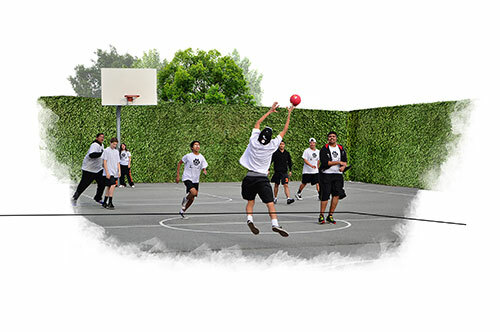 Projects require students to generate conceptual solutions to particular programmatic and site requirements. 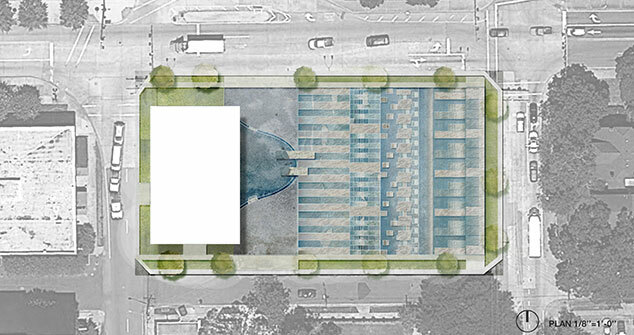 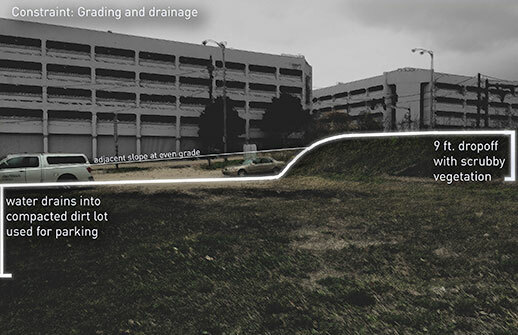 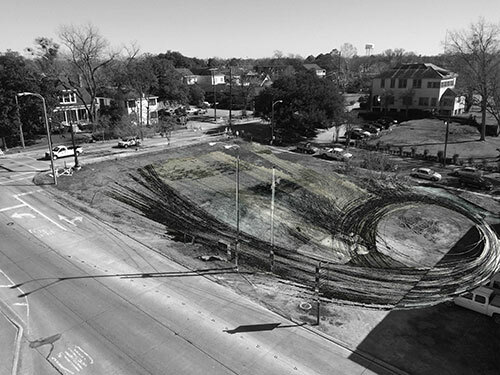 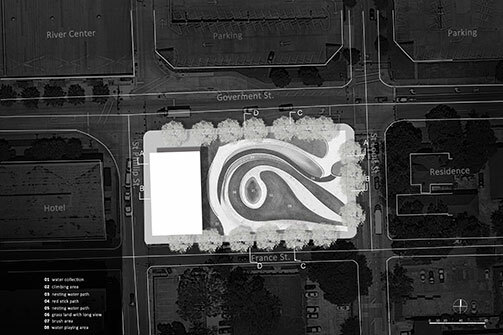 The midterm project looks at conceptually designing a small vacant lot in downtown Baton Rouge. 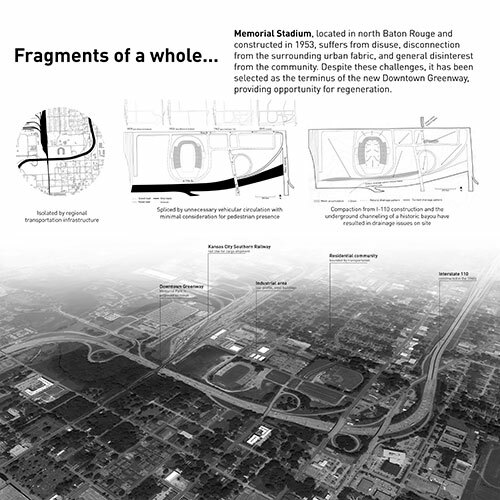 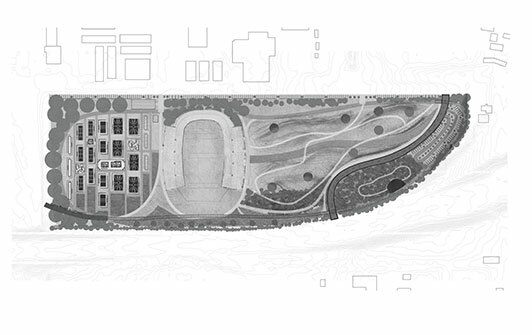 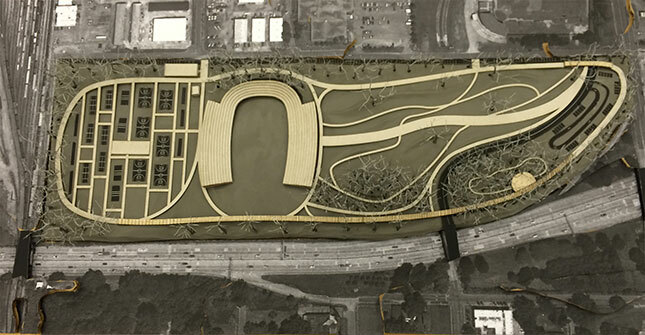 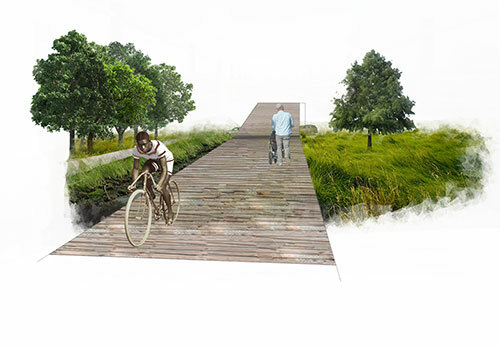 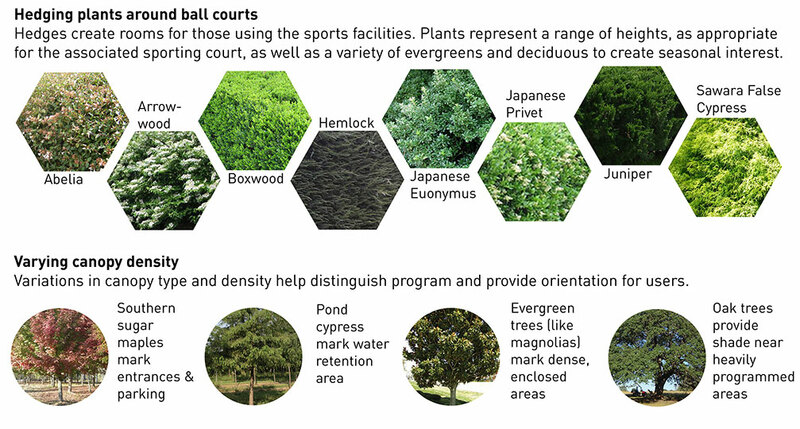 The final project explores landform, canopy patterns, and recreational programming to the existing Baton Rouge Memorial Stadium Park. 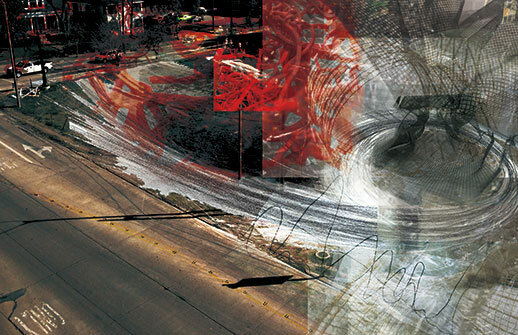 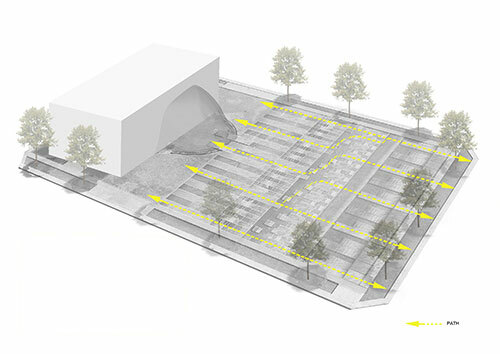 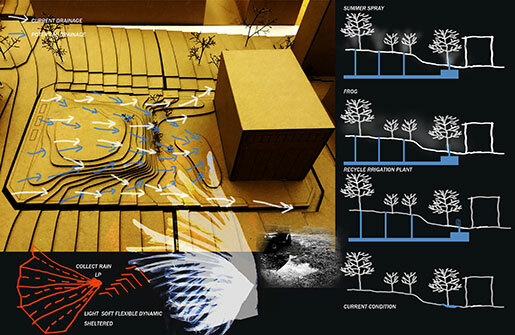 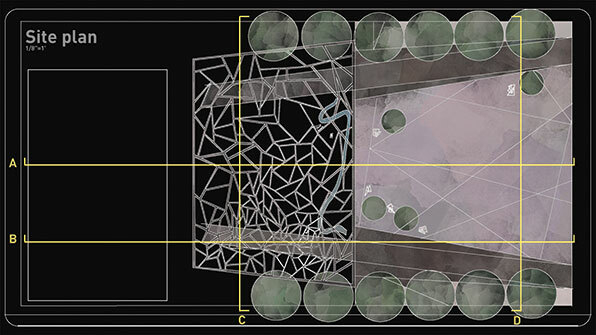 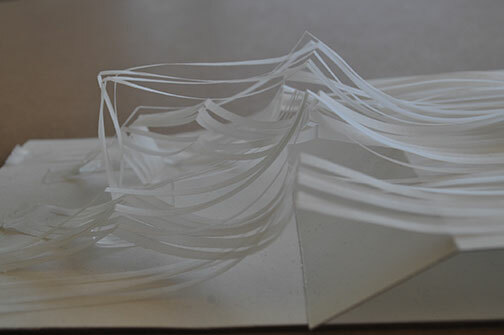 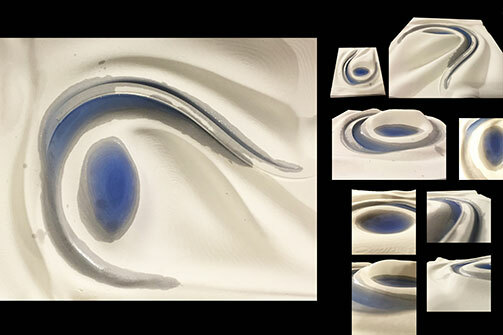 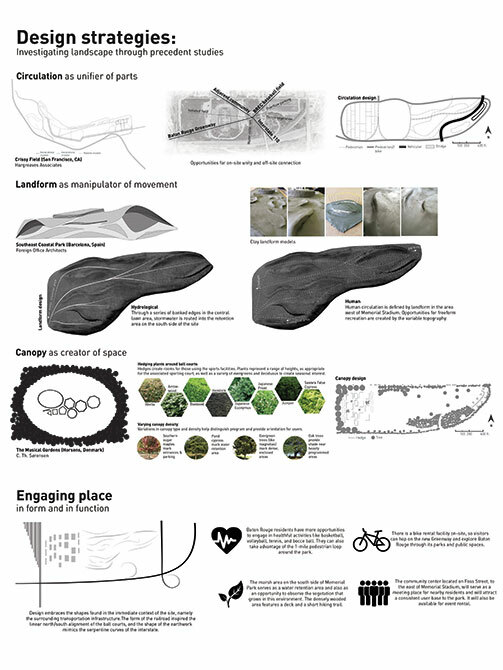 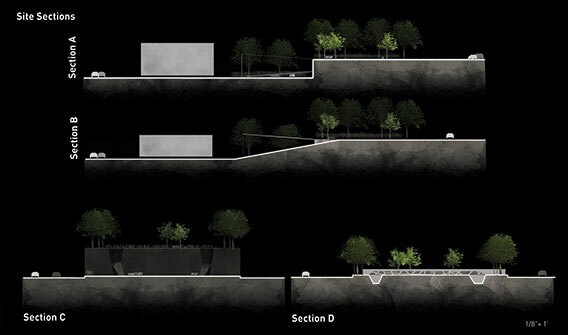 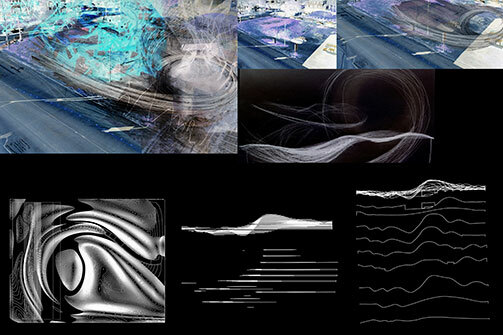 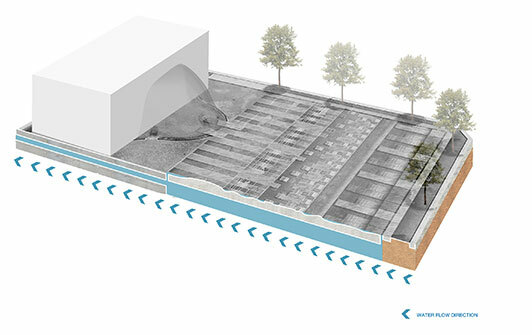 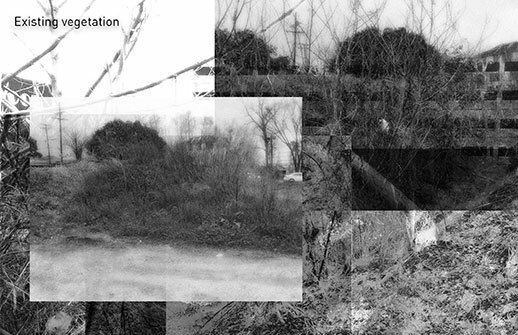 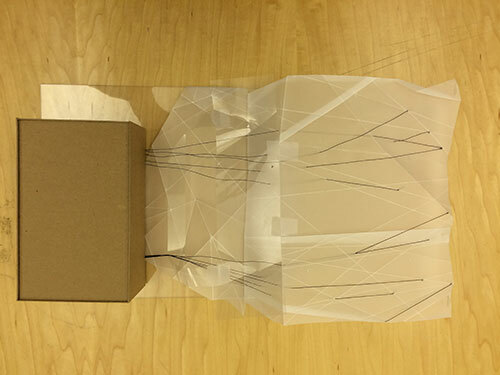 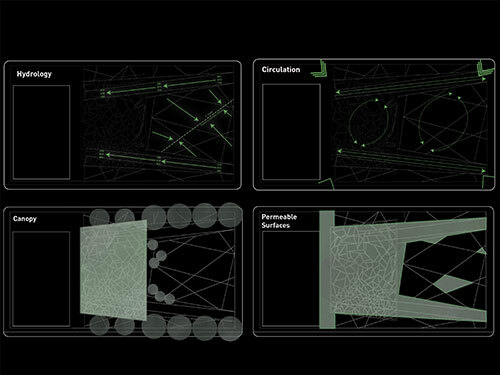 Both projects aim to explore the physical, material, and conceptual understanding of landscape design as well as introduce new modes of landscape thinking into the students’ design vocabularies through research, fieldwork, site analysis, drawing, modeling, conceptualization, programming, and visualization of the project at various scales.